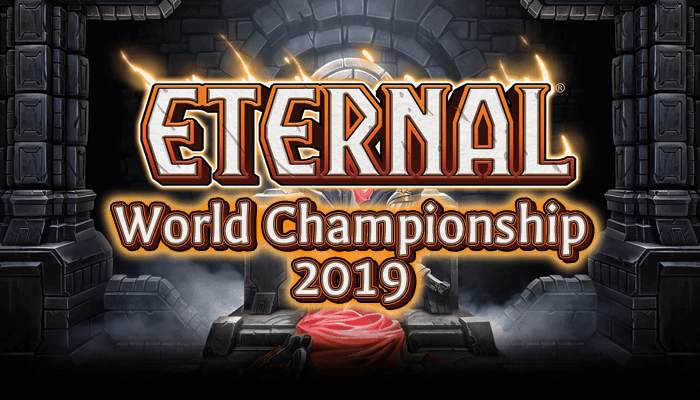 Season Four marks the beginning of the end – only two more seasons remain until the ETS World Championships, and everyone is scrambling for Series Points. As usual, there’s $250 and a ton of Series Points on the line, but this tournament has a special bonus prize – the winner will get to spoil an Omens of the Past card! Adding fuel like this to the fire of an already important tournament ought to bring out the very best in our tournament players! The tournament is streamed live on RNGEternal’s Twitch channel over the course of two days. Day One action starts at 12pm EDT on Saturday, June 24th, and continues until only 8 players remain (after Winner’s Bracket round 3 and Loser’s Bracket round 4). Day Two picks up where Day One left off – except instead of covering rounds, we’re going to be covering every single match! Day Two begins at 12pm EDT on Sunday, June 25th. If you can’t watch the tournament live, there will be round by round updates on RNGEternal’s Twitter. The whole tournament will be uploaded to Youtube by Tuesday, June 27th. Some of the best players in Eternal, that’s who. We’ve got a number of players making their third Invitational appearance in a row, as well as some skilled rookies hoping to put a crown on their breakout season. Some of these players are already household names while others are out to make a name for themselves. Regardless we’ve got full profiles for each and every single one. At a glance, Unearthly claimed, tied, or improved upon six Hall of Fame records this season. He became our first ever player to win two weekly tournaments in one season and has the highest invitational point total ever recorded, including Season Two when all 7 weeks were counted. Unearthly is riding high right now and he’ll be tough to stop. Unearthly is a tough act to follow, but VSarius is up to the task. He really hit his stride in the last two seasons, with two huge Premiere finishes and a solid regular season in Season 4. You can bet he’ll be looking for an Invitational win to add to his list of accomplishments. One of our only non-Unearthly players to win two weekly events, SirRhino also has an Invitational Top 3 and four consecutive appearances. No stranger to tournament play, SirRhino is a strong player if you can convince him to actually play in a tournament. Will he show up for real or will he be playing with an eye towards this week’s Event? Elunex may not have the storied histories of our other weekly winners, but he did have a pretty solid season four. Just as Chalice threatened to take over, Elunex shut it down with a Feln Control deck of his own. Will he return to what he succeeded with, or will he innovate some more? TonyGeeeee only played in two tournaments this season, but he won the first and Top 8’d the other. Not a bad showing for a rookie! Will he be able to keep his momentum rolling and take the Invitational, or will variance catch up with him? dmkHS has entered one tournament, and he has one win. You can’t ask for better than that! It was the final tournament of the season, so it’s not like he’s been resting on his laurels either. He’s definitely one of the dark horses of this tournament – unknown potential, but proven winner! After a monster Season Two, everyone had high expectations of Ilyak. His premiere results (two Invitational top 12s and a MSM top 8) are more mortal in comparison. A strong player, he’ll definitely be looking to Top 8 or better and reclaim a bit of his Season Two dominance. Mr. Chalice himself, Mouche took the deck on a nearly undefeated tournament run, losing only in the finals. He’s taken a break from the ETS since then, perhaps gearing up for the Invitational? We’ll have to see if he tries to do it again with Chalice or if he’s got something else in store for us. One of Combrei’s legends, HiThar has had a lot of success in double elimination tournaments with multiple top 4 finishes. I have no doubt he’ll be looking to make another deep run at this Invitational, and is well poised to do so. While this is Tobboo’s Invitational debut, he did qualify for the Season Three Invitational as well. While unproven at premiere events, Tobboo has had had respectable success in weekly tournaments. He’ll be trying to make up for last time and lost invitationals this weekend – how far can he go? The last finalist to qualify and one of the newest players in the tournament, QuinZ has a tough road ahead of him. Still, he’s made top 8 in every tournament he’s entered – will he be able to do it again on the Invitational stage? With arguably one of the coolest names in the tournament, Masterbacon follows in the footsteps of many finalists before him – spike your first tournament, then relax until the Invitational. This has historically been proven to be an unsuccessful strategy more often than not – which side of the coin will Masterbacon land on? While maybenextime is indisputably one of the easiest to troll names in the tournament, he’s also one of the more experienced tournament players. While an ETS rookie, MNT has played professionally in other card games in the past, so he’s no stranger to long days and tough opponents. Even if he’s not able to pull off the win, maybenextime. Season One Invitational champion, Toth201 has been playing in the ETS since nearly the beginning. He’s been doing well all down the stretch too, most recently putting up a top 4 finish at the Midseason Major. One of the tournament favorites, many expect Toth201 to do well – can he keep the streak going? After a strong regular season, Paradox finished last season with a top 6 finish at the Season Three Invitational. He’s had another strong regular season this time around, but no Top 2 finish. Will he be able to duplicate his success at the last invitational? Invitational Champion Angrychicken had an incredibly dominant Season three, capping it off with an undefeated win at the Season Three Invitational. At MSM, he made Top 6 before heading back to school. Compared to Season Three, this season’s performance has been much more mundane. Can he catch fire again just in time for the Invitational? SkeeJay top 8’d the last invitational, and has three other weekly top 8s to his name across his two season career. He’s a solid choice for Top 8 predictions but not thought to be likely to win – will he prove us wrong? Many will know of ManuS from his Youtube channel, but he’s just started to really break into tournament play. Two top 8’s to his name, and a self professed desire to play the best deck – will he be able to convert at the Invitational? childroland put up three Top 8’s in his rookie season and easily qualified for the Invitational. He has yet to actually win a tournament, but he did get the top result at the first ever Eternal in-client Event and already has a card to spoil. Will he go for two? Contrary to what his name would imply, Flash hasn’t had the flashiest season so far. He’s had a number of solid swiss performances, but only one top 8. However, he’s poised to make a splash in the splashiest way possible: winning the Invitational! Calimdir has been known to proudly boast about having “the worst Invitational record of any player”. While this is technically true, there must be some reason he keeps qualifying for them. Look for Calmidir to screw up and accidentally add some wins to his record this Invitational! One of our more individualist players, Illunga loves building and playing creative decks and can usually be found crushing tournaments with his creations. He also came second at the Bring the Bling tournament, so he’s got some style as well as some creativity. Can a deckbuilder take down an Invitational? Part man, part Moonkin, part peptide, Bradykin’s rookie season has been a quiet success, with three top 8s. He’s participating in his very first Invitational – its time to prove himself on the big stage! Known for his ladder play, Tiger_HC has now come to conquer tournaments as well! A Xenan player, he’s probably really excited for Omens of the Past. Let’s see if he can win himself a spoiler! Everytime I hype Shedd up he does poorly, so I’ve been asked not to say much. Known for Stonescar, not playing Stonescar, and then complaining that he should have played Stonescar, we’ll see how well Shedd does this time around. A strong ladder player and the first-ever owner of the Eternal Throne, Tatsumaki leaped into the forefront by winning the Bring the Bling tournament. At regular tournaments he’s only got a single Top 8 to his name in his rookie season. Can he return to his blinged out glory with an Invitational win? Despite a limited amount of English and an unhelpful time zone, Babamavs battled his way to an invitational qualification. He’s fighting to prove himself – he may be an underdog now, but by next week he easily could be a household name. lv13david snuck into the Season Three Invitational via the LCQ, but he qualified for this one fair and square. He’s had a stronger season this time around, as well, so we can expect him to have a stronger showing at the Season Four Invitational! Unwilling to wait around for an invite, Voignamir took matters into his own hands and won the LCQ. He’s got a long road to climb, but he’s taken the first steps – an LCQ win proves he can close it out if he gets there. Two players are still competing for the 30th seed, IdweAnquet and Thundershot. They will play a tiebreaker match on Saturday morning to determine which one will earn the right to play in the Invitational proper – loser goes home! One of our LCQ winners, Levastraplayed only a single tournament during the season and made top 8. He didn’t allow himself to miss the Invitational however, winning the LCQ and earning himself a place. This isn’t your average LCQ winner – look out for Levastra! Our final player is a total unknown – Docta’s first ETS was the LCQ he won. A single spike, or is he building some momentum? We’ll have to see how he does at the invitational! Angrychicken – The only player I picked last time that actually made it! Angrychicken is in my mind one of the very best Big Combrei pilots and I expect him to go far in this event. childroland – While I may anticipate a first round loss, I expect great things from him in the lower bracket. A double elim tournament really favors players who can dig deep after a loss, and I think childroland has the grit to make it happen. HiThar – I like picking Big Combrei pilots for big tournaments, and HiThar is also an excellent Combrei pilot. He’s got a strong resume of solid results as well – don’t argue with history! maybenextime – My favourite name and one of my favourite players, I think MNT is gonna go far. He’s got that professional experience behind him, so he should know how to pick a winning deck. SirRhino – SirRhino is a fantastic player if you can remind him to play for real. He let me down last time but I’m giving him another shot. Paradox – Another player who’s learned the secret of being aggressive, Paradox isn’t afraid to take a big risk for a big reward. Somehow that just sorta resonates with me. VSarius – Sarius went from off my radar to top tier really fast in the last season or so. He plays a really clean game and has been cleaning up tournaments – I think he’ll take this one too. Unearthly – The gimme pick. Unearthly has been dominating and he’ll do what it takes to get the W. Not the most flexible player, but he performs. Angrychicken – No longer the leading favorite, but AngryChicken has proven he can innovate sideboarding with a popular deck and that he has what it takes to win big tournaments. childroland – He just won the first-ever event last weekend, so clearly he’s doing something right. Confidence in your play is important to success. ManuS – Content creator turned tournament player this season, ManuS always has his pulse on the strongest decks in the meta. There’s a lot to be said for playing the best deck in a tournament like this with an diverse meta. SirRhino – I think Feln isn’t in a great place right now, but SirRhino always finds a way to make it work. Don’t count everyone’s favorite knighted rhino out! TonyGeeeee – Armory is great, TonyGeeee is a great Armory player. Good enough for me. Toth201 – It seems like Toth is always playing late into Invitationals. I see no reason for the trend to stop now. VSarius – Sarius has been on a tear recently, and since he’s working with strong players he’s sure to have the tools he needs to go far. Unearthly – What else is there to say – every time the man picks up Rakano he wins. As long as he isn’t tempted by mono-4-drop.dec, I predict another strong finish from Unearthly. childroland – Speaking of momentum – childroland had a great first season and just smashed the first ever in-game event. It was best of 1, which isn’t quite the same environment, but he still has to be riding high off that performance. Can he win 2 spoilers for himself? HiThar – He’s only played in ETS seriously for the past 2 seasons, yet he’s managed to rack up about as many Series Points as some of Grinders from seasons 1 and 2. He’s got a proven record in Invitationals and I expect him to go far. maybenextime – The apparent “Rookie of the Season”, MNT came about as close to directly qualifying as you can, without actually doing so. He pulled off two top 4 finishes and had a perfect run through the Swiss portion of the May 27th event. He’s also an old hand at big tournaments, making deep runs in HS tournaments. Given his experience and strong performance in the regular season, I’d give him good chances to make a deep run here. Sir Rhino – Sir “Everyone predicted I would take Top 8 last Invitational and didn’t” Rhino. Do I have Stockholm Syndrome or does Rhino deserve to be on this list? His last 2 invitationals were shaky, but he has been one of our strongest performers over the span of the ETS. The only real question – does he bring Feln Control or does he bring something new? TheSkeeJay – Is this just because SkeeJay’s been poking fun at me for not predicting his Top 8 run in S3I? Maybe. But it’s also because he’s branched out and posted results on more than just a single deck, unlike last season. Last season, I only wanted to choose one Combrei One-Trick besides AngryChicken and it turns out three made it to the top 8. Whoops. SkeeJay’s impressed me, and I think he’s got the potential to make another solid run. VSarius – The breakout success story of the last 2 Invitationals, Sarius snuck into S3I via point qualification tiebreakers, then managed to leverage that into a second place finish, getting him into the Midseason Major, where he took top 8. He posted another strong performance this season (arguably the second strongest, taking 2 finalist spots) and I expect him to make another deep run in this event. Unearthly – So, yes. Unearthly has a bit of a curse when it comes to Invitationals. aReNGee didn’t even predict him to make top 8 at Season 3 Invitational (aReNGee was also 1 for 8 last time). However, this has been Unearthly’s Season, putting up the strongest regular season we’ve ever seen – sporting a 21-3 record over his first 3 events. His biggest hurdle might be that his first round opponent qualified via the LCQ with Armory – and seeing Unearthly as their first round opponent won’t discourge them from running it back. Can he overcome Armory and Warcry his way to his first Invitational win? I think so. Previous Post: Going Deep – Preview Event Primer!